Tampa SEO Services | Guaranteed Rankings For Your Website! We will take the following steps in order to provide you with the most effective marking campaign possible. 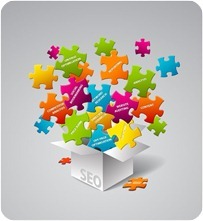 This overview will be the exact ways that will provide your website excellent SEO services. This plan was created over 10 years of experience in all things internet. We will execute the following blueprint for your website from beginning to end. Please, graciously review our Onsite and Offsite search engine optimization outline that every web company receives when being optimized by ComputerGeekz SEO Team. Site map Creation – Make sure the search engines know what pages you want crawled. Code Validation – The site should be checked for errors. HTML Errors will slow down the search engine bot and can cause penalties with pages. Meta Tags – Making sure you have all the proper meta tags will further help Google, Bing, and Yahoo know what you are all about. Keyword density check – Keyword density is extremely important. “Keyword Stuffing” is heavily frowned upon by search engines and a check to be sure this is not happening is important. At the same time we will check to be sure the page has the right percentage. Broken Link correction – This feeds back to errors, broken links even ones to outside sites are not good and will be corrected. URL Rewrites – URLs should contain the keywords you are trying to hit. If this is not the case it can be fixed and the traffic redirected. Blog Integration – a blog is the perfect way to get the word out about your business quickly. Load time check – Slow loading can cause the bot to leave your site. Robots File Creation – this file is helpful to the search engines when configured properly. Outbound Link Analysis – Outbound links are important but too much or too little of anything is a bad thing. The entire list off site items are to further the buzz about your company. They should help generate both relevant traffic as well create in bound links. Natural and true in bound links are the best way to further yourself in the search engines. A solid link campaign can never be discounted, but it should be done the right way. Bought links are a very bad idea and will eventually cause large penalties with Google.